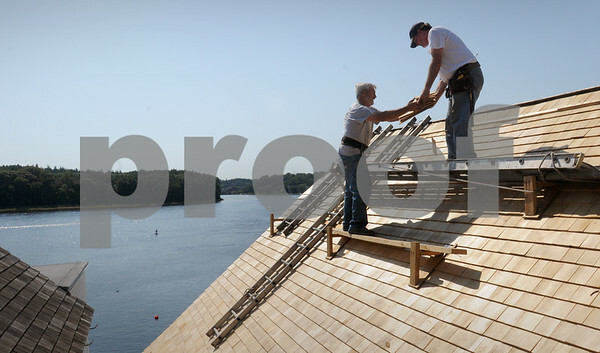 Amesbury: Self-employed roofer Warren Soulard of Amesbury, left, and his associate Greg Beadle put new wooden shingles on the roof of Lowell's Boat Shop in Amesbury. The work is part of a grant the working museum received. Bryan Eaton/Staff Photo Newburyport News Wednesday September 2, 2009.